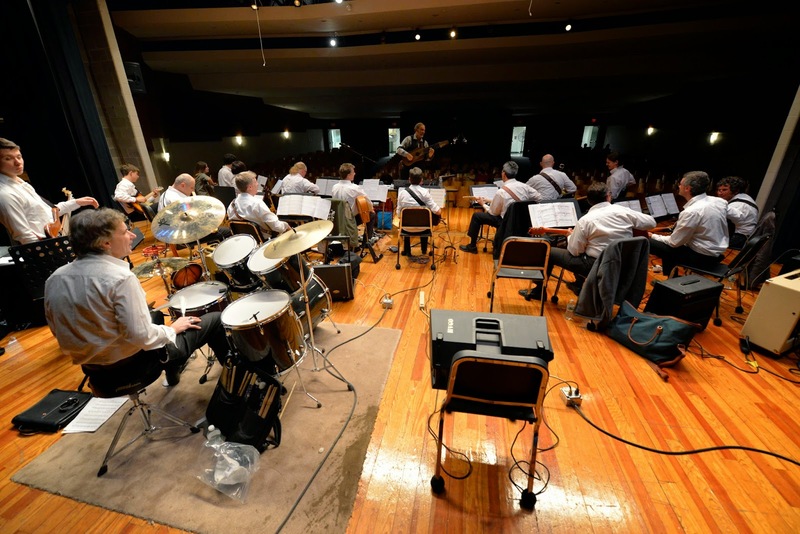 Northampton, MA—The Center for the Arts is pleased to present composer, performer and guitar innovator Peter Blanchette directing his critically acclaimed Happy Valley Guitar Orchestra (HVGO) at Sweeney Hall, Smith College Northampton on Friday, May 9 at 7:30 pm. HVGO’s annual spring concert features an expectedly unexpected program of music from minimalist composers Philip Glass and Arvo Pärt, 18th century Scottish dance music of Nathanial Gow, music of critically-acclaimed midwest rockers Wilco, and instrumental music of the post-punk rockers The Smiths. HVGO (www.hvgo.org) is an avant-garde music ensemble, founded by Peter Blanchette in 2009 and comprised of more than 20 talented acoustic and electric guitarists from widely varied traditions. HVGO is a resident company of the Northampton Center for the Arts, and is supported by the Massachusetts Cultural Council, and the Frank Lucchesi Trust. Though known as a Bach specialist, Blanchette (www.archguitar.com) has a repertoire of unusual and celebrated musical arrangements that run from medieval to contemporary to ethnic styles. Blanchette is the recipient of WFCR Foundation’s 2011 Arts & Humanities Award for Outstanding Individual, and is a veteran performer of such venues as Spain’s Cordoba Festival of the Guitar, Boston’s Symphony Hall, NPR’s “A Prairie Home Companion,” The Kennedy Center for the Performing Arts, The Town Hall, New York City, and WGBH Boston’s live radio broadcasts. Tickets are $15 for adults, $12 for students and children. They are available in advance at www.nohoarts.org and at the door from 6 pm on the evening of the performance. Door sales are cash or check only. This performance is made possible by generous support from PeoplesBank.